When it comes down to it, all marketing strategies consist of two elements: the people you’re trying to reach and the channels you use to reach them. Trying to reach small business owners through free and paid social posts? That’s a marketing strategy. Selling homemade crafts to little old ladies out of a craft show booth? Again, that’s a marketing strategy. The problem with these types of strategies is that they often grow stale. After all, you can only sell at so many craft shows before you need to find either a new target audience or a new promotional channel. You can only run so many paid Facebook ads, just like you can only attract so many visitors through SEO (and yes, those numbers may be large, but they’re also finite). In terms of expanding your marketing strategy, it’s generally easier to add new promotional channels than it is new target audiences. While there are thousands of different advertising methods out there, the number of groups that will be interested in your product will likely be much smaller in comparison. Depending on the product you sell and how localized your audience is, expanding your marketing strategy may be as simple as moving one city over. If you’re the craft salesperson described above, attending new craft shows in different areas will give you access to new buyers (although you’ll need to carefully consider the impact of travel time and costs on your overall ROI). But even if your product is already readily available to consumers around the world, you may find success trying a more localized marketing strategy. Suppose you sell a cloud accounting program. Even though people across the US can use it, you might find a higher conversion rate if you temporarily target your marketing efforts on key cities with populations that match your target demographics (for example, cities with a certain population or median household income). In some cases, you may find that a whole new group of people could use your product without many modifications. For this idea, let’s use the example of a tablet app that wedding planners use as an electronic registry for guests to sign in at their events. Are there any other groups of people that might be interested in this type of product? Funeral homes, as an example, could be one audience that could use the same tablet app to welcome guests at their services without too much development work. Of course, that’s not to say that there’s anything wrong with development work. It’s possible that investing a small amount of effort into modifying your existing product to suit a new audience could pay off significantly. Say you have an online scheduling program that fast food restaurants can use to divide hourly workers into shifts. Even if it takes some time and money to rework the program to suit retailers – another group that deals with primarily hourly employees – doing so could open your business up to huge sales opportunities. Finding new customer groups to reach out to can be challenging, so if you’re looking to expand your marketing strategy on a smaller scale, you’ll find it easier to add new promotional methods to your marketing mix. Basic social media marketing tasks should be a part of every business’s repertoire. But if you’ve already mastered the basics of Facebook posts and Twitter tweets, the tactics below will help you take your social promotions to the next level. If you’ve been following a steady routine of social posts – for example, sharing promotional quotes on Monday, blog posts on Tuesdays and so on – it’s time to try something new! Even if your social analytics data seem to recommend the routine you’re currently following, keep in mind that it’s possible an untested strategy will push those numbers even higher. Take a few minutes to look around your competitors’ social channels to see what seems to be working for them. Apply what you’ve learned to your own campaigns and then measure your results. Don’t forget – you can always go back to your original strategy if your new approach doesn’t pan out. Feeling tapped out on Twitter and Facebook? Setup a new profile on Pinterest. Get involved with Tumblr. Or even show off your photography skills with a new channel on Instagram. Certainly, you’ll want to be sure your target audience maintains at least a somewhat active presence on the platform you choose. But don’t wait for some perfect sign to convince you to try something new. Break out of the rut you’ve found yourself in and give a new social platform a shot. If you don’t see good results after a month’s worth of effort, give it up and either move on to a new platform or a new strategy altogether. If you’re really feeling innovative, keep your eyes open for new social platforms as they launch. Mashable and TechCrunch are two great sources of info on up-and-coming social networks, so make it a point to check them regularly for news on the subject. Then, when you see a new platform announced, setup a profile and get active right away. Sure – nine times out of ten, these platforms are either going to fail immediately or drag on for months (if not years) with low activity and engagement rates. But if you have a little extra time to burn experimenting with these new channels, you may just find yourself positioned well as a thought leader on the site that becomes the next Facebook. Most companies start their social campaigns with free posts to sites like Facebook and Twitter. But in case you haven’t noticed, it’s getting harder and harder to get your messages noticed through these channels. The logical next step is, of course, paid advertising. 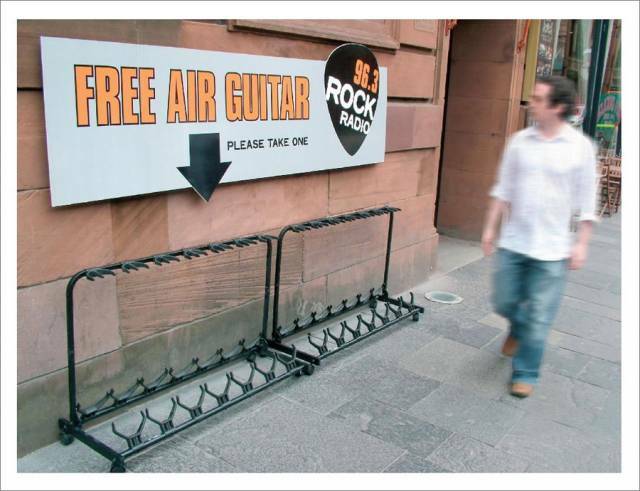 It’s not most innovative of marketing strategies out there, but it’s one that works well for most businesses. Start with the social network where you’re having the most organic success – Most businesses have one social channel that just plain performs better for them than others. And since most social networks have paid advertising these days, it’s a smart idea to start paying for posts on your “sweet spot” network, rather than trying them all out at once. Remember, you can always add more later! Be clear upfront about your budget and expectations – In many cases, paid social ads are best used as a tool for building brand awareness, rather than driving sales leads or customer conversions. If you only have a certain amount of money to commit to paid ads, put that number in writing before you start so that you’re not swayed to spend more. Then, balance your potential investment with the results you hope to achieve. You won’t be able to drive thousands of dollars in sales from $0.01 social media clicks, so keep your expectations reasonable! Don’t try to reinvent the wheel – Learning a new paid advertising program can be challenging and time-consuming. So instead of wasting effort that may be better spent elsewhere, either look for campaign templates that you can apply to your own accounts or hire a consulting company to help set up your initial round of campaigns. If time is money, you’ll find that either of these two strategies represent a theoretical cost savings against learning everything yourself. If you’re writing blog posts the day they’re due and posting videos because somebody told you that you should, stop! There are better ways to do content marketing, and they all begin with having a clearly defined, well thought out content strategy. What goes into a content strategy? While that subject could fill an entire article of its own, the keys are to be sure you’re covering the right topics, in the right formats, and then using the correct distribution channels to reach the right people. Weaknesses in any of these four areas can lead to subpar content marketing results. For example, if you’re writing blog posts on tech trends when what your visitors really want are video clips on product reviews, you’re going to wind up with weak results. If you’re posting your content pieces to Facebook, but your followers are all hanging out on Instagram, same problem. If you’re creating content on autopilot without stopping regularly to analyze your results and look for better approaches, you might as well not be doing content marketing at all. To be fair, saying “improve your content strategy” isn’t particularly innovative. But it is an area where many businesses could use a substantial expansion. It’s easy to get stuck in a content creation routine because you think things should be done a certain way. In this case, being innovative isn’t nearly as important as being aware! But if you really want a quick solution that’ll help you expand your content marketing efforts, it’s this: focus on answering the questions your customers are asking. Don’t think, “What kinds of content would I like to create?” Instead, ask yourself, “What kinds of content would my customers like to see?” Adopting this as your guiding principle and staying true to its tenets with every piece of content you create is the easiest way to successfully expand your content marketing strategy. At the same time, content marketing can’t be an insular endeavor. If all you’re doing is pushing content out into the ether, you’re missing out on all the benefits that come with engaging your community. By reaching out to thought leaders in your industry, your fellow bloggers and even individual followers, you’ll turn your content marketing efforts into what they were originally supposed to be – a two-way conversation between you and your target customers. Now, this is one area where you can get a little innovative! Think about all the people out there that could help grow your business in some way, whether it’s new mentors who can provide helpful advice or new brand evangelists that’ll spread your content person-to-person on social networks. Which of these people should be your highest contact priority, and how can you get in touch with them? Could you create your own meme, like the recent “Ice Bucket Challenge,” and tag your niche’s authority figures to participate? Could you pull a stunt like WestJet’s “Christmas Miracle” (perhaps on a much smaller scale)? Get creative and think of different ways to get your brand and your content noticed. You might look silly or go through a few failed attempts, but you’ll likely turn a few heads in the process! Finally, when it comes to expanding your content marketing efforts, you’ve got to know that blog posts alone won’t cut it anymore. If you want to get noticed, you’ve got to cut through the noise with something innovative – and that means big content. Big content can be definitive guides (that actually follow through on this promise). It can be professionally-produced instructional videos that are given away free to readers. The sky (or, more accurately, your budget) is the limit here, so go crazy with your brainstorming. Think of the most audacious piece of content you could create for your audience, then scale back your vision slightly to see if you can realistically produce a paired-down version. You may not strike it big with every big content piece you produce, but those that do will go a long way towards labeling you an innovator in your field. If your changes seem too extreme, keep a control ad running. Compare your new results against this data to see if your experiments are having a positive or negative affect on overall ROI. Keep in mind that if you move to new ad networks, you may be required to use new ad formats – which can require some innovating on your part. However, the upside is that, since many of these networks are less competitive than Google Adwords, you may be able to drive clicks at much lower per-click rates than on this cornerstone network. Bidding on traditional PPC ads is a great place to start your paid search engine marketing campaigns. But it’s certainly not the only channel you’ll want to explore! Take remarketing, as an example. This advanced technique allows you to create paid ads that “follow” your target customers around the web. Say, for example, you sell fishing rods on your website. You can use Google Adwords to create remarketing campaigns that will place cookies on your visitors’ web browsers. Then, when they visit other sites online that are a part of Google’s content network, they’ll see an ad for the fishing rod they viewed most recently – reminding them to head back to your site and buy. Google Adwords isn’t the only program that offers this type of campaign. Facebook’s FBX system, for example, allows you to reach visitors on this highly-trafficked social network who have taken specific actions online (like visiting your website) with targeted paid ads. Consider giving this network a try as you expand your paid SEM campaign strategy. Saying things like “experiment with new ad elements” or “expand to advanced techniques” is easy – actually putting these techniques into practice can be much more challenging! 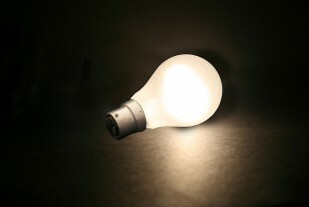 One way to save time and energy is to see what other companies are doing and adapt their strategies to suit your needs. To get started, take a look at companies that have earned US Search Awards in the past. While you shouldn’t plagiarize their ads outright, seeing what the winners have had success with can give you plenty of ideas for expanding your own campaigns. So far, this article has focused almost exclusively on how to innovate on your digital marketing strategies, since that’s a big part of what we do at Single Grain. However, that doesn’t mean that you should focus on these techniques to the complete exclusion of traditional marketing practices. The fact that so few businesses go the traditional route these days creates huge opportunities within these channels for businesses that are willing to move forward by going back. What kinds of traditional media should you consider? 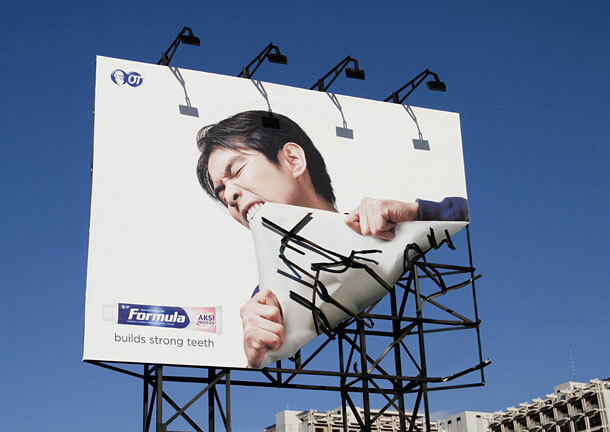 How about a massive, comical billboard like the one created by Formula Toothcare (pictured above)? 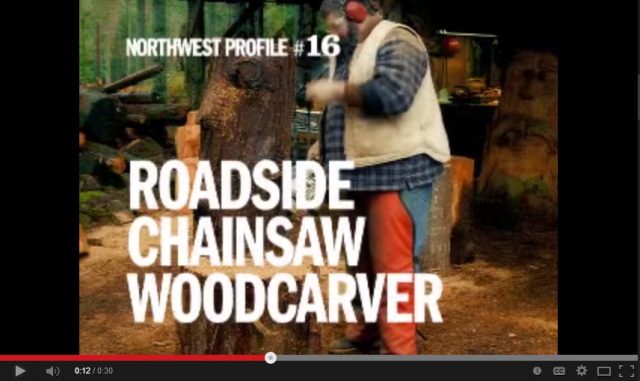 What about a TV commercial like Pemco’s “Northwest Profiles” series? What you do need is an innovative mindset. First, you’ve got to be creative in your concepting work. If you can’t come up with ideas on your own and you have a budget to work with, a marketing firm can help you figure out the best way to attract your audience’s attention through traditional marketing channels. But even if you’re working with peanuts, a few creative friends and a few rounds of drinks can turn up some surprisingly great ideas (just wait to sign off on that massive media buy you planned out until after your buzz has worn off…). However, unless you’re blessed with unlimited resources (or a majorly-successful funding round), you’re also going to have get innovative with your execution. As an example, even if you want to produce a relatively cheap video – like the “Where the Hell is Matt?” series – you’re still going to need a video camera, an editing program and potentially a lighting rig to help capture your shots. Normal people might go out and buy those things, but innovators – especially innovators on shoestring budgets – find other ways to get what they need. Maybe they barter with a local videographer to clean his studio in exchange for equipment rentals. Or maybe they get really savvy and strike up a bartered deal that results in each partner gaining exposure to new potential clients or other business perks. Ultimately, being a marketing innovator and expanding your current promotional strategies comes down to creativity. True innovators aren’t just those with the best ideas – they’re the ones that are willing to take whatever steps are necessary to put them into action. Stop saying “I can’t” and stop accepting mediocre marketing results. By using the strategies described above, you too can train yourself to approach problems in brand awareness with the mindset of an innovator. Have ideas to add or questions that need answered? Drop a comment below and our team will get back to you.